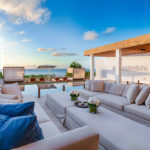 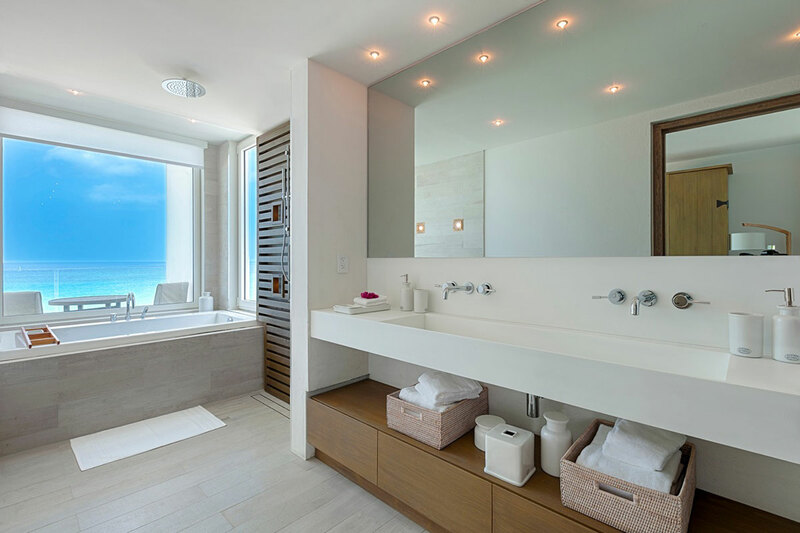 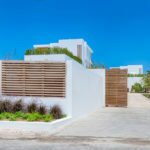 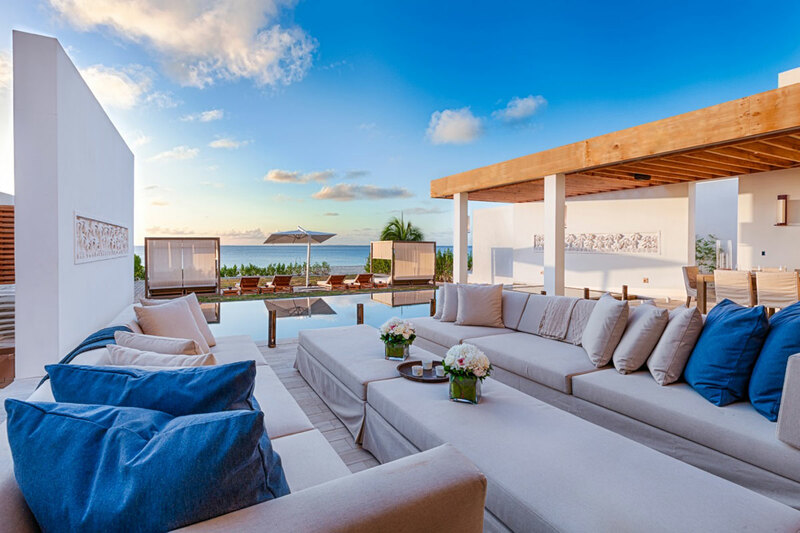 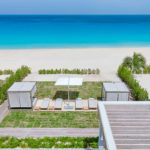 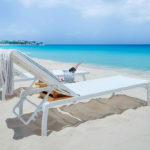 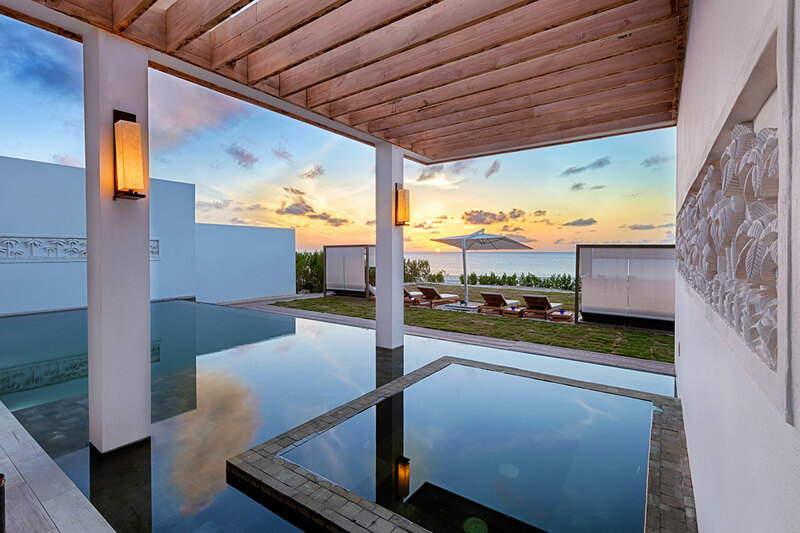 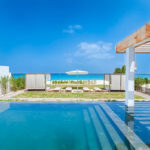 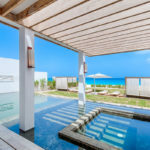 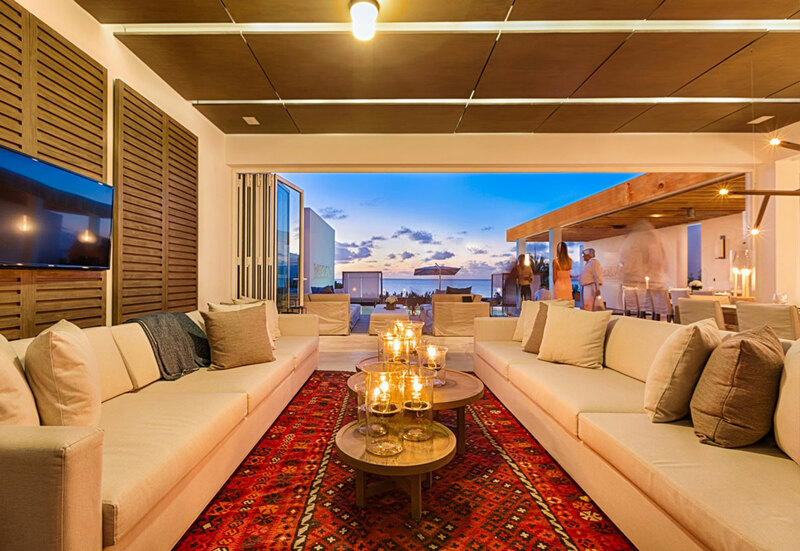 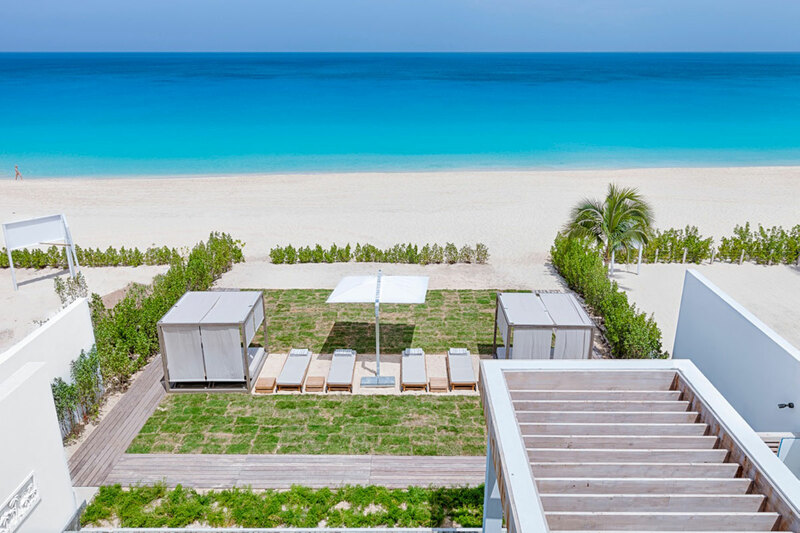 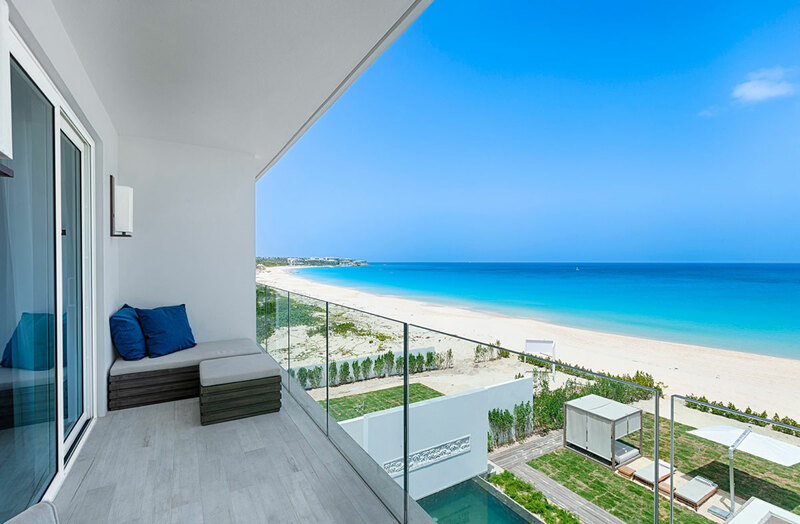 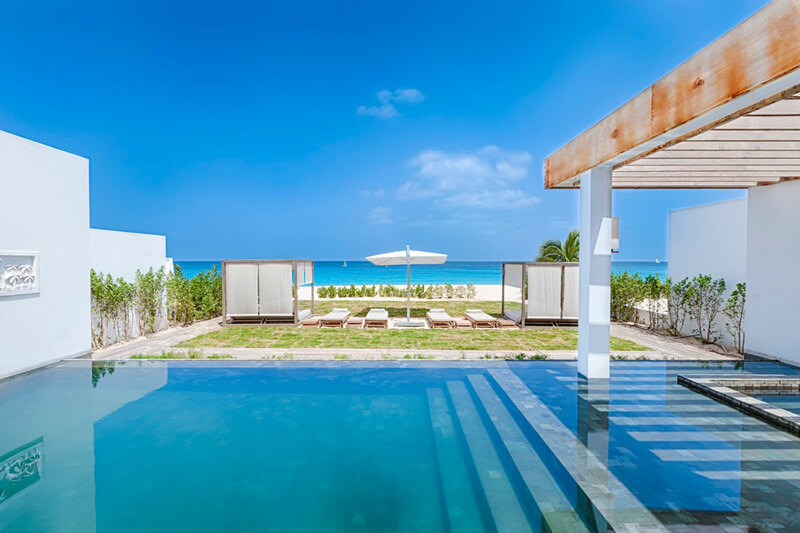 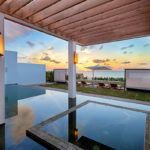 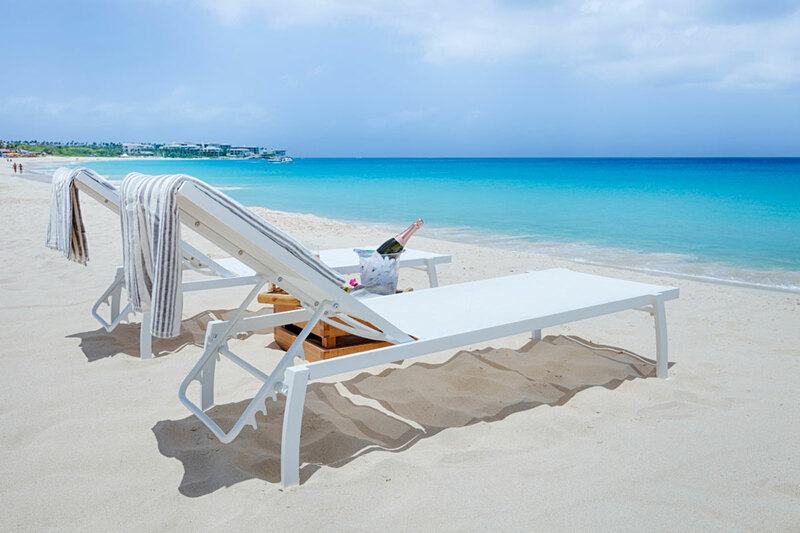 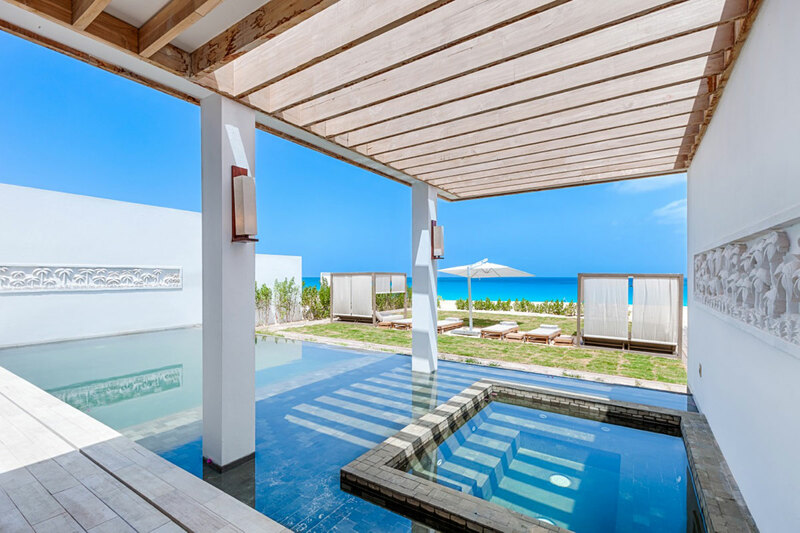 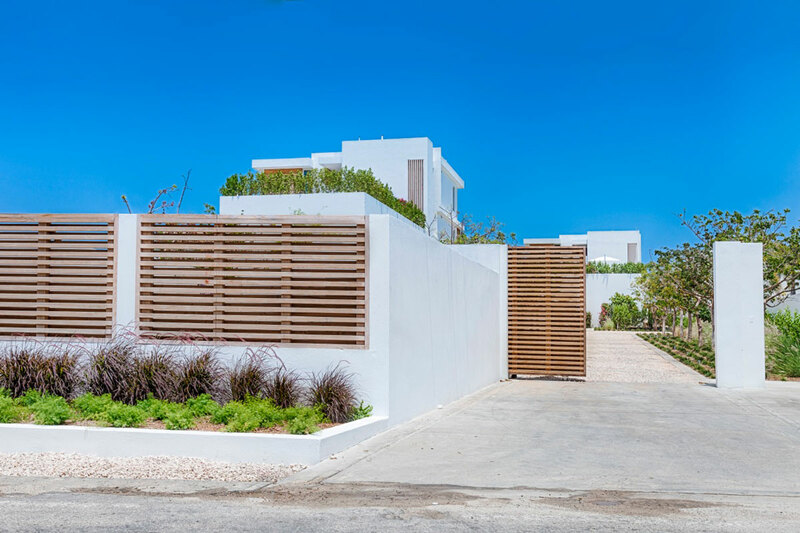 World-famous Meads Bay is the sublime location of these two outstanding luxury villas for sale on the preferred island of Anguilla. 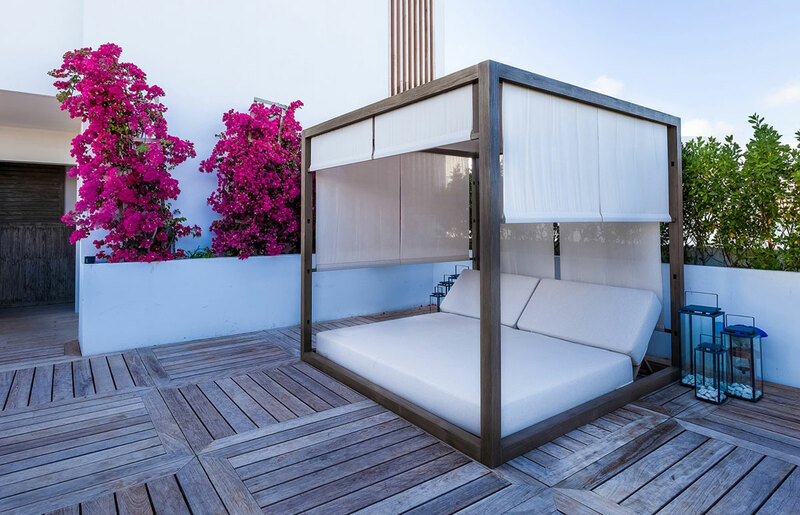 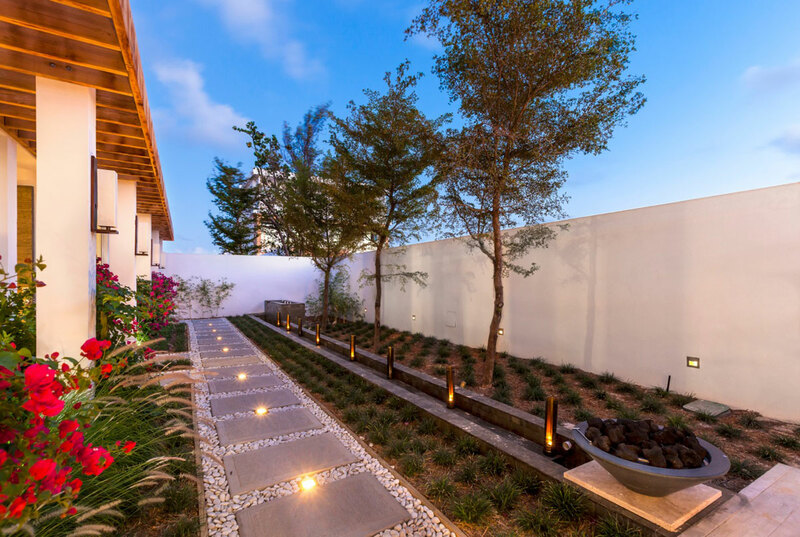 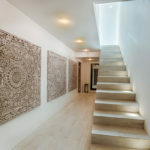 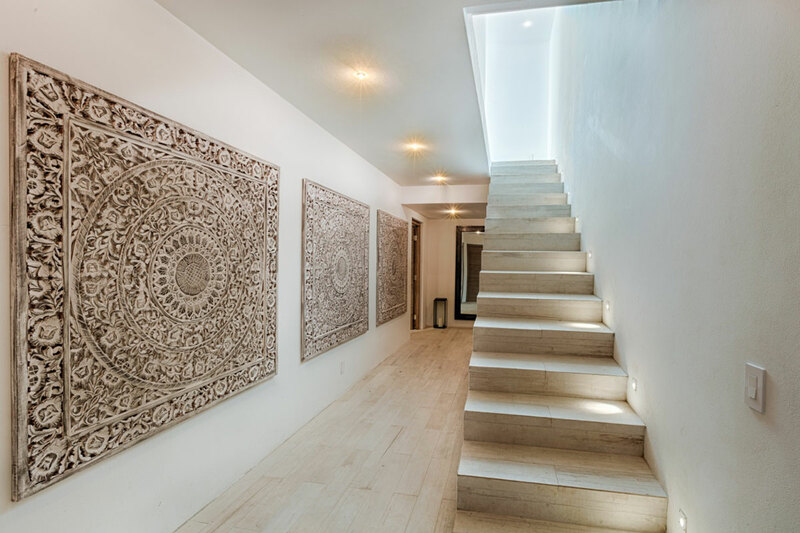 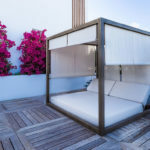 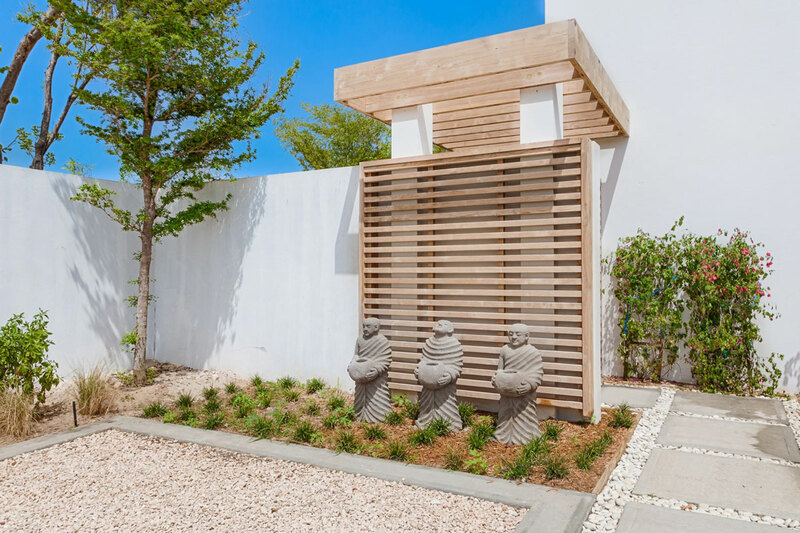 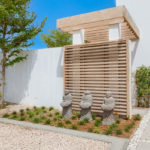 They have been built to exacting standards with reinforced concrete, exotic teak trim, and achieve the highest thresholds of design and appointments. 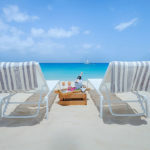 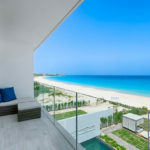 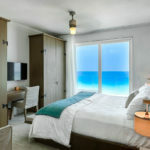 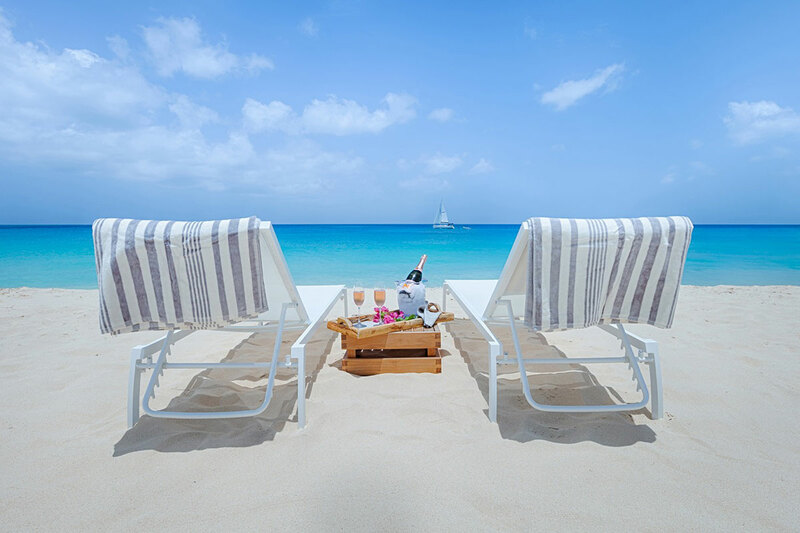 One of the best beaches in the world at your door-step, numerous services, and 5-start resorts nearby – everything you could desire is at-hand. 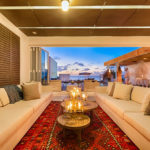 This private superior is villa sited on a half acre of prime land and offers a total of 7,000 square feet of total living space, inclusive of all three levels. 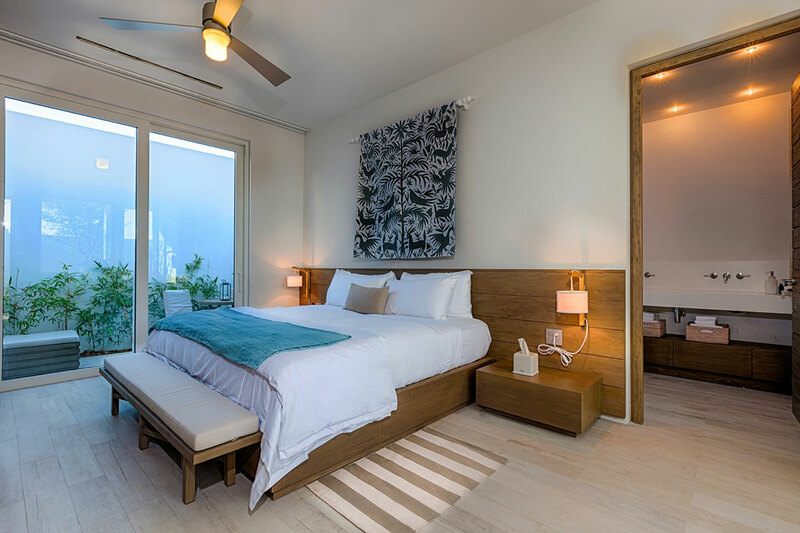 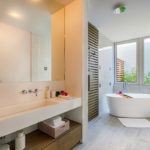 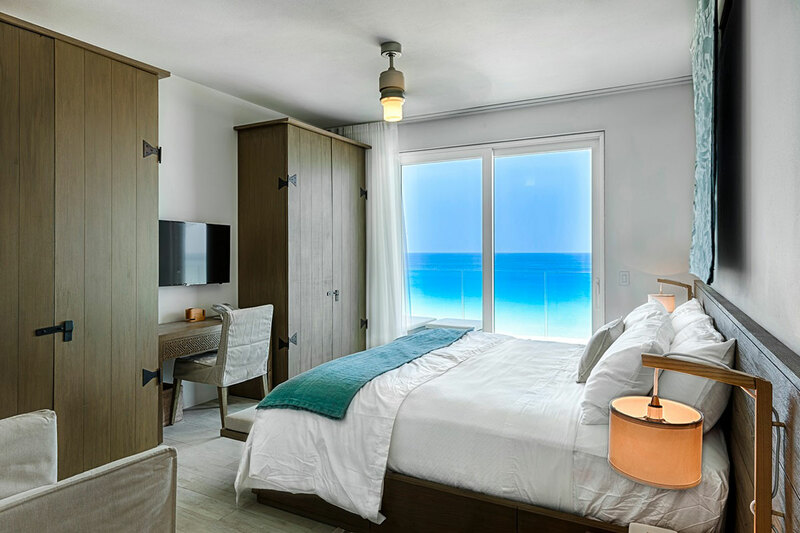 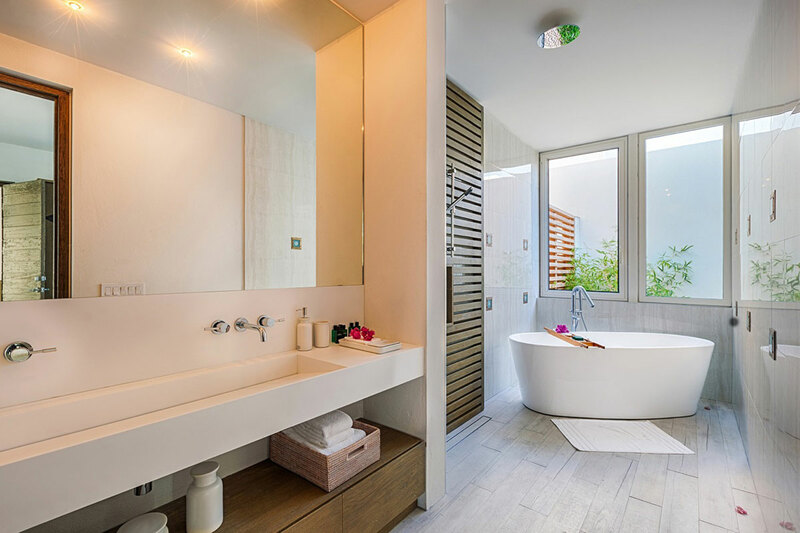 There are 6 gorgeous bedrooms, floor-to-ceiling windows, finest furnishings & appointments, two fully-equipped kitchens, swimming pool, hot tub, media room with 60” TV, fully-equipped gym, and a roof-garden entertainment area. 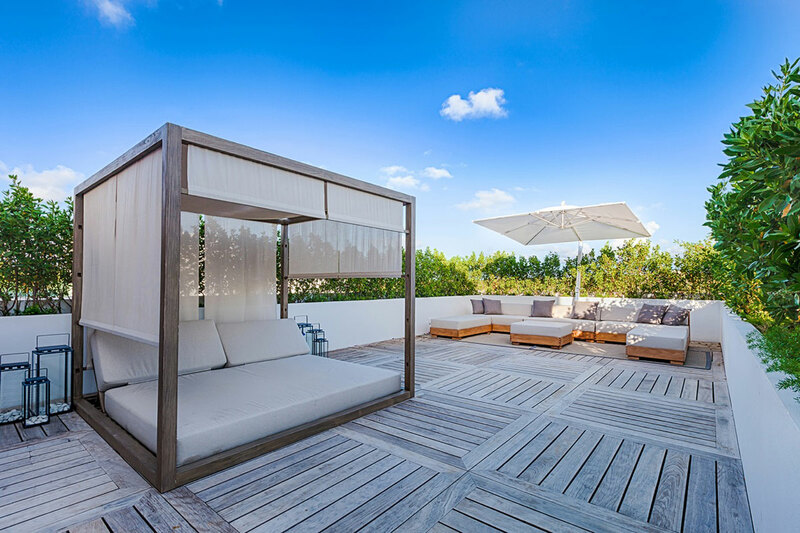 A stunning 5-bedroom beach property sited on a half acre of land and boasting 7,000 square feet of living space. 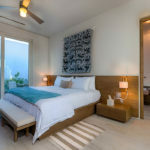 This villa also has a grand master bedroom. 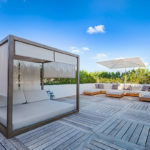 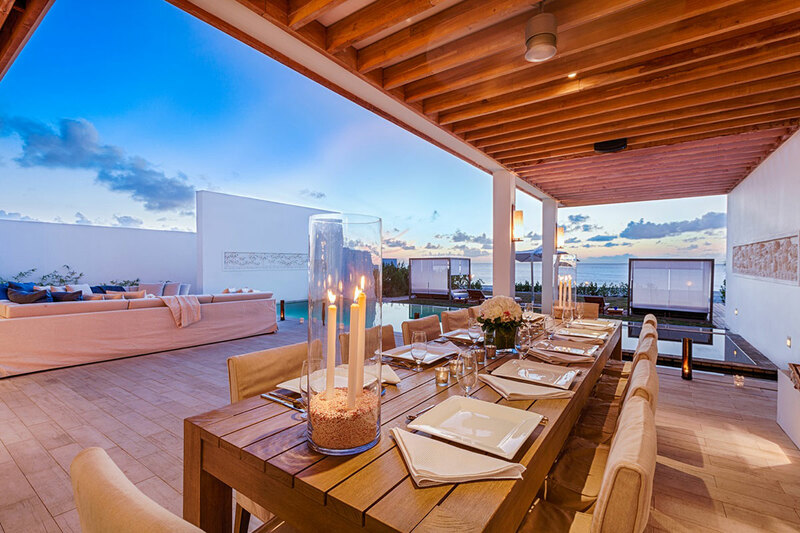 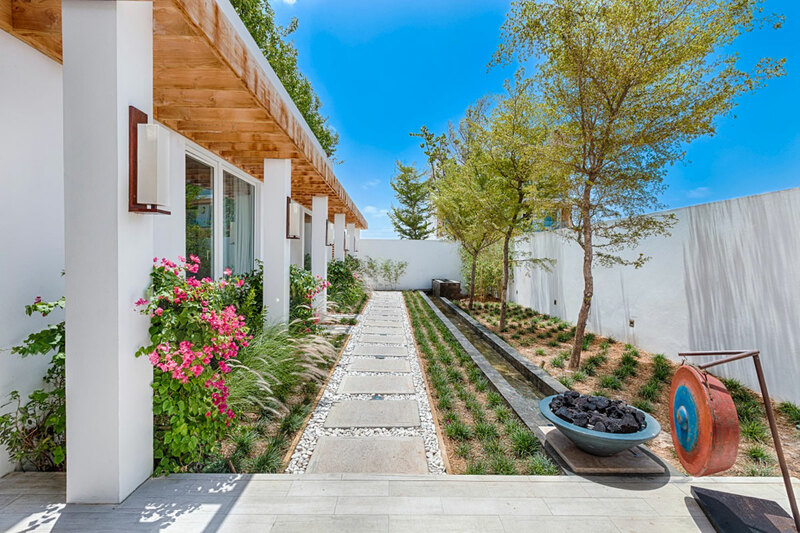 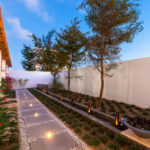 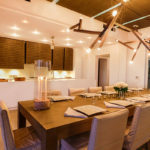 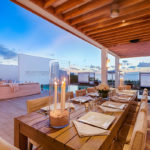 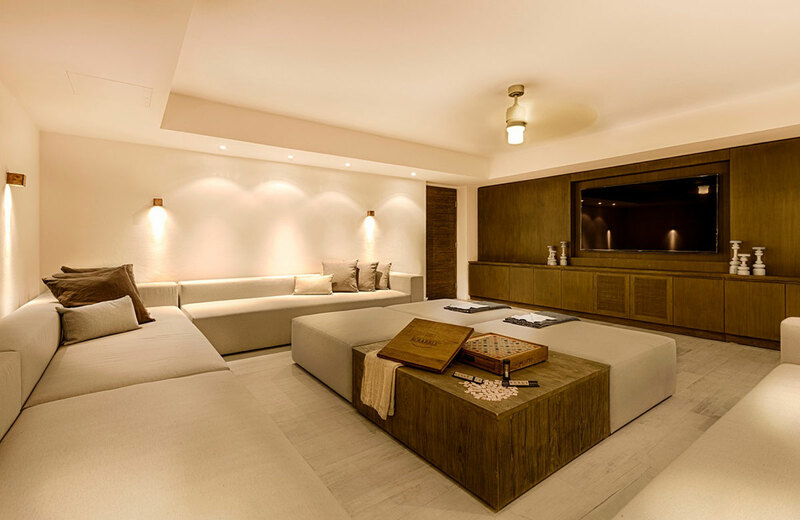 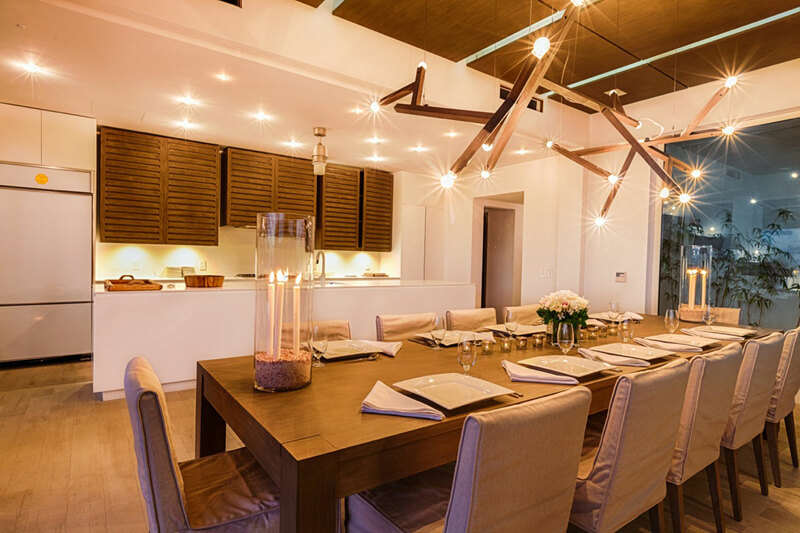 This superbly-furnished villa features a complete kitchen on the main floor and separate basement kitchen for a chef, a media room, fully-equipped gym, hot tub next to the infinity pool, and beautiful gardens.